Domain Register: Search for and Register Your Own Domain Name Online! We've changed our look to be more mobile friendly! & keep your competitors from using it! 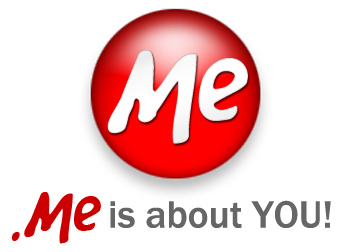 "lookat.me", "WillYouDate.me", "Insure.me", "Shopfor.me", "ChatWith.ME" - get a great domain name in .ME! Private Registration Allowed with .ME! Find a short name in .BIZ! Getting harder to get the name you want in .com? Easier with .BIZ! .BIZ can be purchased by any person or company worldwide. I know my domain name is available. I want to register my Domain Name NOW!